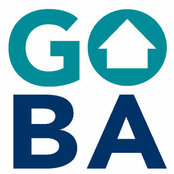 The Greater Orlando Builders Association is the leader in the housing and building industry of Central Florida. Our purpose is to represent and promote the building industry, encourage higher standard practices through education, monitor and take a proactive role in governmental and regulatory activities that impact the construction industry within Greater Orlando, as well as at the State and National levels. Our intention is to foster an environment within our association and within our neighborhoods to create opportunities for building relationships, businesses and communities while balancing the economic, social and environmental needs of our members and the communities we serve.